Tooth decay can badly wreck your smile and lower your self-confidence. Worse about the problem is that you may never be able to prevent it even with a meticulous oral hygiene routine as some biological and lifestyle factors will still make your teeth vulnerable to it. Tooth filling restores your tooth to full function and prevents the decay from spreading to other healthy teeth. How do I know I need filling? What type of filling is best for me? 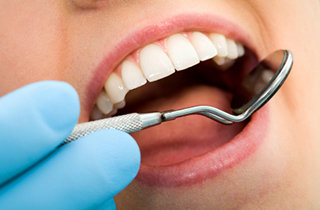 Fillings are primarily classified on basis of material used to make them. What your dentist recommends for you will be determined by your problem, lifestyle and budget. Ceramics – Consist of porcelain, mostly stain-resistant, that can last up to twenty years. Silver amalgams – Consist of a mixture of tin, zinc, copper, silver and mercury. Your dentist will first numb the tooth and the area surrounding it to make the procedure painless. Once you're completely numb, the dentist will start washing off the decay using a drill. A high volume suction will be used to remove the debris from the tooth and the mouth. You will then be rinsed clean and the filling will be applied on the surface shaped by the dentist. Exact filling procedures differ depending on the material being applied. If you suspect you have dental decay and want a dentist to confirm it and provide filling if necessary, Lal Thanga DDS offers the service in and around Duarte. Call 626.357.9909 now to schedule an appointment and have your tooth fixed.